Here's an interview I did with that ran on the front page of the Living section of The Cleveland Plain Dealer which is Cleveland's daily newspaper -- and my hometown! 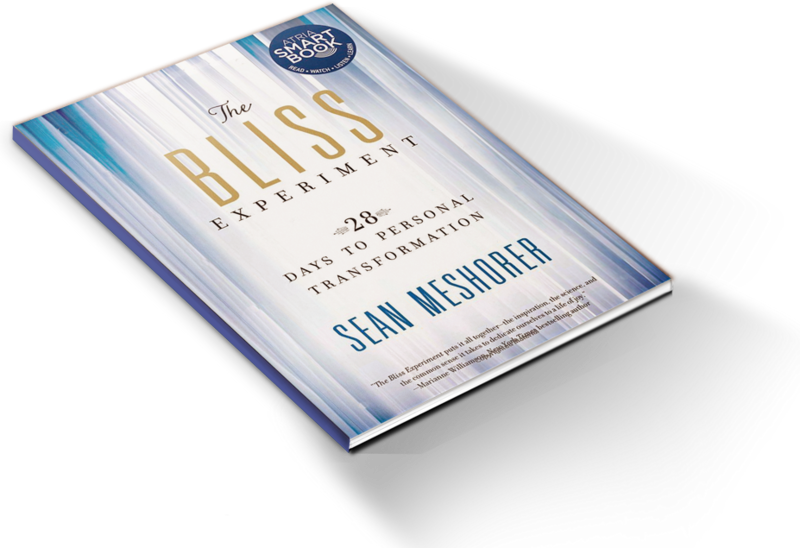 Sean Meshorer is a contemporary spiritual teacher, author, and speaker specializing in personal development, ecumenical spirituality, and scientific/practical solutions to life's thorniest problems and deepest questions. This site features a blog on the latest in pop culture, scientific studies, and current events as well as instructional videos, information about his book The Bliss Experiment, media appearances, tour schedule, and more. Sean frequently appears on major media outlets in television, radio, and print. Some examples of his media appearances are posted on the right-side of this page. Follow the links to watch, listen, or read the interviews/articles/features. Television appearances include CBS, NBC, ABC, PBS, and nationally syndicated programs. A popular guest on radio programs of all kinds, Sean’s appearances include all the major national networks such as NPR, SiriusXM, CBS Radio, Cumulus Media, Westwood One, Clear Channel, Dial Global, Buckley Radio, Unity Online Radio, and numerous 50,000+ watt major stations around the United States including, KTLK, WCRN, KSL, WDRC, KRLD, WELW, KJKK, WWCO, KLGO, WCCO, KOGO, and KKNW, among many others. He has been a featured guest on major, nationally syndicated shows including: All Things Considered, The Jim Bohannon Show, New Dimensions, The Richard Stevens Show, The Leslie Marshall Show, Talk of Connecticut, The Frankie Boyer Show, Broadminded, Something You Should Know, It’s Your Health, America Tonight, and dozens more. In print, Sean has written for or been featured in articles for CBS News, The Huffington Post, Family Circle, Redbook, Ask Men, The Cleveland Plain Dealer, Chatelaine, Better Nutrition, Organic Spa, Sedona Journal, Oracle 20/20, New Spirit Journal, Aspire, New Connexion, and many more. If you would like Sean to appear on your television or radio program, write or be interviewed for an article, please click here.